One of the many new features that iOS 8 brings to your device is the ability to have widgets for apps in the notification center. Third-party apps are now able to have their dedicated widgets in the NC area of iOS and display useful information to the user. Naturally many iOS developers have already released updates to their apps in order to take full advantage of this awesome new feature. If you have updated to iOS 8 or just got your shinny new iPhone 6 then these are the apps you should try on your device. The popular to-do app Clear now allows users to get a list of their next to-dos in today view of Notification Center. You can simply tap on any reminder and view it directly into the application where you can mark it done or delete it. Clear is available in the App Store for $2.99. 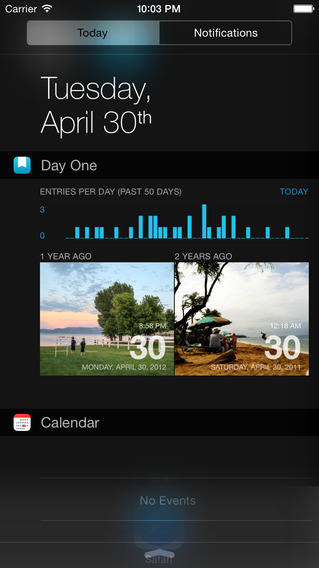 Calendar 5 is one of our favorite Calendar apps for iOS and it has become even better with the iOS 8 integration. The app adds an ‘Agenda Widget’ on the Notification Center so you can see what’s next in your schedule. You can also snooze alerts and move events in the app directly from the Notification Center widget, which is pretty great. Calendar 5 is available in the App Store for $6.99. The DayOne journal app for iOS brings a widget that shows a flashback of the past entries you made within the application. You will also be able to see graphs of recent entries, count for words you entered that day as well as count for photos. The latest update also brings new iOS 8 specific features for Touch ID and share menu. You can download DayOne for $4.99 from the App Store. The official app of the popular cloud storage service Dropbox lets you see you recent activity in the Notification Center. You can also save and open files in other apps using the new iOS 8 integration added in the app in recent update. Evernote has always been one of our favorite productivity apps and with the addition of iOS 8 widgets it has become even better. From the Notification Center widget for Evernote you can conveniently create new notes and perform other tasks right from NC. Evernote is available for free. The Hours app for iOS 8 lets you start and stop timers directly from the Notification Center. Along with the NC it also offers the same capability on the lockscreen, which is very convenient. You can get Hours for $4.99. 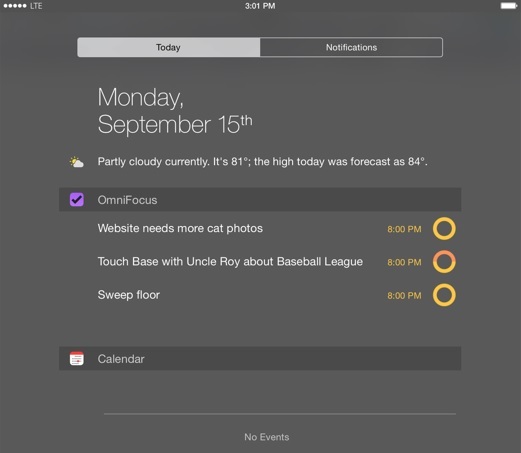 The Today Extension for iOS 8 Notification Center added in OmniFocus shows a list of pending things you have to do on that day. This is very useful to keep a track of things you need to do on a particular day. The PCalc app’s Notification Center integration is our favorite. The third-party calculator app allows iOS users to perform quick calculations right on NC of their device. PCalc is available for $9.99. If you use Yahoo! 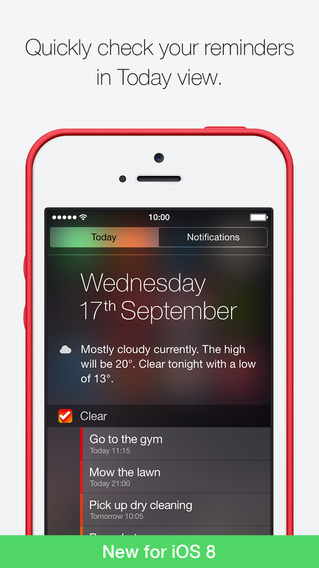 Weather app then you would be pleased to know that it has been updated to add the iOS 8 widget. You will be able to view the weather report in the notification center without even launching the app. Yahoo! Weather is available in the App Store for free.